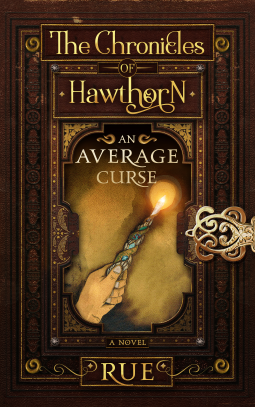 This is my second review of the book An Average Curse, Book One. I was alerted that extensive editing had been done, and could I re-read it to see if it improved. Boy has it ever. This book is something you will find yourself living in. A rare treat to find these days. You will feel the mist of New Zealand and ride the Moa Bird as you follow the learnings and mishaps of Flynn and her dearest friend Hazel. The Ninth daughter of the Ninth daughter, she was expected to be one of the most powerful Witches and help save the land from darkness. But from the time of her toddler days to her first class as an a spell caster in training, not even the most simple of spells could be done by her. She was quickly rumored to be nothing more than a Watcher. A person who can see others do their spells, but never herself. To help, her friend Hazel tries to cover up her folly by doing magic enough for two. Then they meet Po a young man, who was very clumsy except with his carvings and haphazard ways of doing things. Can the three of them get though their first sessions of learning spells and rescue their home from the beginnings of evil magic. I rarely give out 10’s for stories, but if I could, I would give this a 20, its that good.